Hygiene is considered to be a measure of people’s way of life. When a person has good hygiene, they do more than just make themselves comfortable. They also make it much easier and more comfortable for other people to be around them. A person with good hygiene has good manners that they bring everywhere they go, including their workplace. When it comes to the workplace, cleanliness and personal hygiene are of utmost importance too, as they are always included in every company’s norms and policies. After all, no boss would want their employees looking unkempt, right? Employees represent the company they belong to. This means that it is not enough to just dress professionally. Professionals need to exhibit other traits, as well – flawless hygiene included. 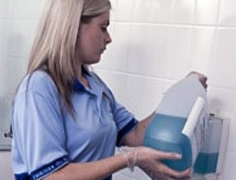 Every workplace needs to be hygienic not just for the sake of having a good reputation and making good impressions but also for the sake of health and safety of everyone — customers, visitors, and employees. One of the best ways to ensure excellent workplace hygiene is to implement hygiene policies that all parties need to follow. Below are the top reasons that will help you explain why everyone needs to take workplace hygiene seriously. Workplace environment can greatly influence an employee’s satisfaction at work. Happy and content workers are productive and are always inspired to do their jobs well. When people are happy at their workplace, they don’t think about changing jobs. They stay loyal to the company where they are treated well and that reduces the employee turnover. The simple act of keeping the workplace clean is one way you can give your employees the kind of environment that will make them want to stay. 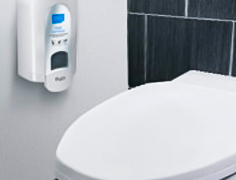 Rent all soap and sanitizer dispensers from us. We regularly refill them as agreed. Aggressive, eco-friendly deep treatment of your urinals and toilets regularly by our experts. Employees are not the only ones that roam around the office. Possible clients, suppliers, and investors sometimes pay a visit, too. The last thing you want is for them to be turned off by a messy, unorganised, and dirty workplace. As it is said, ‘the first impression is the last impression’ and poor workplace hygiene can create a very bad first impression for your company. Not to mention, words travel faster than light. A client or a supplier will not be prone to take you seriously if they have the impression that you are not capable of keeping your offices in order. How can they trust you with more serious tasks, like their business? Consequently, they will gladly take their business elsewhere as soon as they can. Your workplace cleanliness and hygiene reflects directly on your company’s core values to make sure people will have only good things to say about you. It is not possible to claim you are in complete control over your business when one look on your washroom or offices shows the absolute opposite situation. Things can get even worse! If your workplace is unhygienic, there is a possibility that an important visitor catches germs and gets sick, creating even bigger problems for your company image. This is probably a road with no return for your business, so do your best to prevent it. Psychology says humans and animals are wired to be repulsed by the places of filth and disease. Nobody would want their office space to be the place where somebody got ill. Perfect office hygiene will prevent that from happening. An unhygienic workplace increases cases of employee absenteeism, costing the business a considerable amount of money. If you have substandard hygiene in the office, expect more and more employees taking sick days. By implementing proper work hygiene, you will be able to stop harmful viruses and bacteria from spreading all over the office, ensure a safe and healthy work environment, and reduce health risks for everyone. These efforts include ensuring sanitary washrooms equipped with hand washing stations and supplies, as well as sanitary toilets. 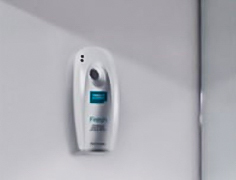 Equip your workplace with soaps, sanitizers, dryers and anti-bacterial moisturisers. 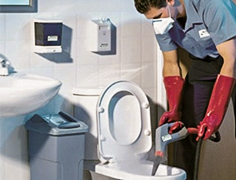 Ensure a safe and healthy toilet for all your employees by installing handy sanitizers. Make sure that the germs cannot survive in your toilets and avoid their spreading. Maintaining workplace hygiene effectively by investing in hygienic workplace facilities may cost money initially but this amount will pay for itself eventually through your employees’ improved productivity and reduced absenteeism. The benefits you will be reaping from a hygienic workplace definitely makes it worth it. Making sure that your workplace adheres to basic standards of hygiene will help diminish the spread of disease-carrying bacteria and viruses that can be rampant in shared spaces like office kitchens and washrooms. 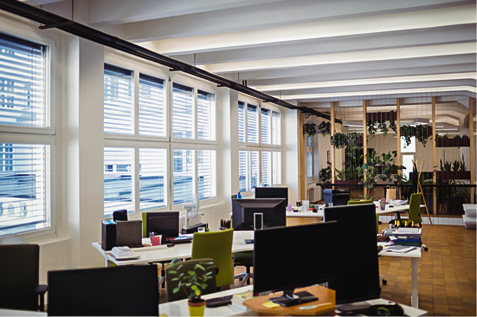 Aside from having cleaning rules for everyone to follow, it’s also best to get everyone educated on the importance of keeping every corner of the office clean and treating these shared facilities with a high level of respect. Many employees are oblivious to the fact that their workstations, especially their desks, are common breeding ground for germs and bacteria. Let them know that! Help them keep their workplace environment sanitary at all times. Moreover, germs and bacteria don’t recognise your employees from people who are just passing by or even your children. An unhygienic workplace packed with bacteria means that everybody in the office is a potential carrier of a disease. They can transfer it to their families and friends and, if you are dealing with a highly contagious disease, it can even start a mini-epidemic. If your workplace is being cleaned on a regular basis, there are very slim chances of accidents happening and employees getting injured. Looking from another angle, this also means that a filthy office increases chances of accidents such as slips, trips, and falls. The culprit behind these horrible and dangerous incidents? Dirty and slippery floors. To prevent injuries, make sure all your office floors are cleaned on a regular basis and that you have proper mats placed in areas where slips, trips, and falls are most likely to happen. Provide comfort and reduce health risks to your employees who spend hours standing. Reduce the danger of wet areas by renting these carefully designed mats where needed. Position the first barrier between your workspace and the outside dirt and dust. 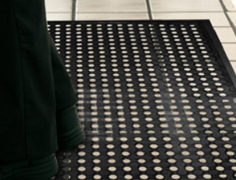 Wet-area mats will reduce the incidents of slipping by containing the liquid beneath it and acting as a barrier between the slippery floor and the feet. Anti-fatigue mats provide for the better standing surface for your employees. This means that the prolonged periods of standing will be easier on their legs, joints and back. Consequently, they will be less tired and less likely to get hurt. Tired people are more likely to trip and fall. 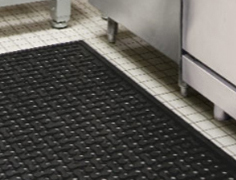 Dust control mats reduce the amount of dust, dirt and germs to be taken in from the outside. Moreover, when entering an establishment, people easily trip or slip on something because they can get overwhelmed by the new space and their attention is reduced. 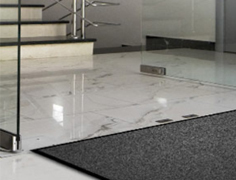 A good mat helps by not allowing for the dust and dirt to turn the entrance into a slippery area. A clean workplace is a safe and healthy workplace. And a healthy workplace helps grow a business and achieve its bottom line goals. Your workplace environment creates a subtle but powerful impression on your potential customers and investors. We know, as we have seen it happen over and over again. Moreover, Alsco has helped over 43, 000 companies improve their workplace safety and hygiene. Alsco is a trusted partner when it comes to keeping workplace hygiene sustained and up to a high standard. It is achieved by offering quality, eco-friendly, and personalised services and products. These are mainly rental services which means that the company owners don’t have to think about capital investments and when was the last time the washroom supplies have been replenished. All you need to do is contact your local branch and set up a regular managed rental service with Alsco. Improve your workplace hygiene by calling us and we’ll help you find the best solution, carefully tailored to your business needs and specifics.